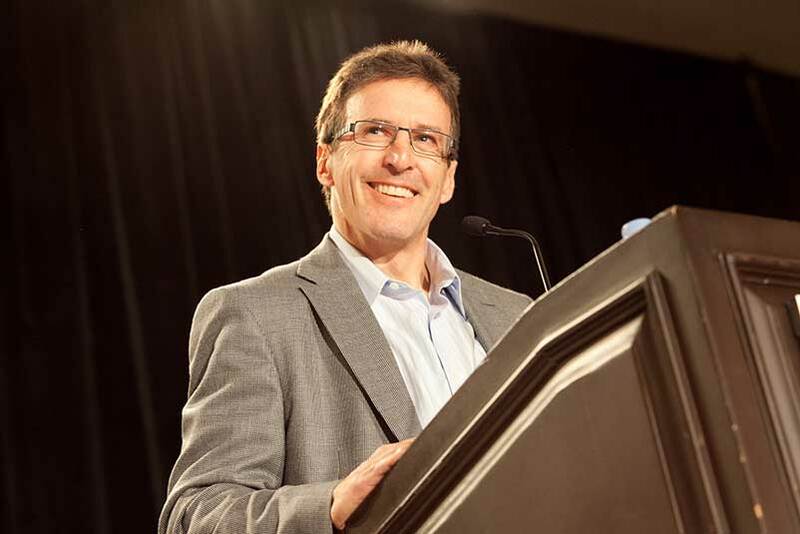 Oct 30, 2013 | Davis Phinney was diagnosed with Parkinson’s disease at the age of 40, and in 2004, he established the Davis Phinney Foundation, a registered nonprofit organization. The Boulder, Colorado-based foundation is dedicated to improving the lives of people with Parkinson’s disease. Davis is a former professional road bicycle racer. His racing career spanned two decades and included two stage victories in the Tour de France and a 1984 Olympic Bronze Medal. Since retiring from cycling, Davis has remained active as a cycling sports commentator, public speaker, journalist, and avid Nordic skier. Three of the many projects that the Davis Phinney Foundation has produced that are available to PD people everywhere and at any time include webinars, a PD manual and an exercise DVD. The Living Well Challenge™ is a free, educational webinar series featuring movement disorder experts speaking on topics of interest to people affected by Parkinson’s disease. New webisodes air bi-monthly on the Davis Phinney Foundation website. Their list of speakers and topics is impressive. Webinar topics such as Breathing and Swallowing with Roxann Diez-Gross, PhD, SLP-CCC; Living Well Today with Parkinson’s with Monique Giroux, MD; What’s Going on in My Gut? with Leslie Cloud, MD, MSc provide a wealth of information for PD people, that their personal doctors might not have the time to cover. The Every Victory Counts manual is a photography-rich, interactive manual developed by the Davis Phinney Foundation in collaboration with co-authors Dr. Monique Giroux and Sierra Farris, experts in Parkinson’s treatment and self-care. It features contributions from leading movement disorder experts from respected institutions across the country. In addition to covering the spectrum of Parkinson’s symptoms from diagnosis through advanced stages, the Every Victory Counts manual addresses important topics, such as: young onset Parkinson’s, talking to children about the disease, exercise, nutrition, emotional health, deep brain stimulation, Parkinson’s medication, care for the care partner, intimacy, and the importance of staying engaged. The Parkinson’s Exercise Essentials DVD was developed by the Davis Phinney Foundation to provide a range of workouts that can be modified for any level of fitness, from beginner to advanced, and can be performed at home, in a fitness center or out in the community. The DVD is free and can be obtained online at the David Phinney Foundation website, http://www.davisphinneyfoundation.org. In late 2008, Davis underwent deep brain stimulation in an effort to control some of his PD symptoms. Dr. Jaimie Henderson, a neurosurgeon at Stanford University Medical Center, implanted two electrodes 2.5 inches into either side of Phinney’s brain, powered by a pacemaker in his chest. According to ESPN, the DBS worked instantly and helped tremendously. Davis continues to be active in his role of Vice-Chair for the Davis Phinney Foundation and as a sought-after speaker. We thank Davis for his selfless effort to improve the quality of lives for the thousands of PD patients around the country. We wish him the very best in his quest to make every victory count.